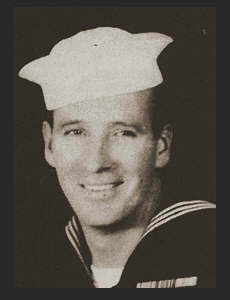 MM 2/c Thomas J. Armour, graduated from Wichita, Kan. High School and Tulsa Business College; husband of the former Norene Cohea. Entered Coast Guard in Sept. 1942, trained in Manhattan Beach, N.Y.; served in Newfoundland, Greenland, England, France, Puerto Rico, the Hawaiians, the Marshalls, and the Philippines. Awarded Am. Theatre Ribbon, ETO Ribbon, Asiatic Pacirfic Ribbon, Victory Ribbon.